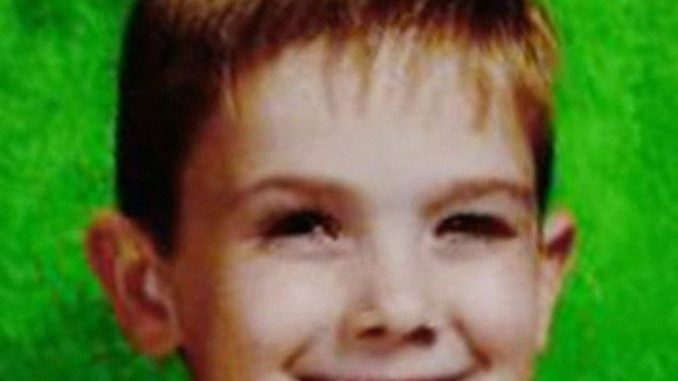 Authorities said a young man claiming to be Timmothy Pitzen, a six-year-old who was reported missing in 2011, is not actually him. The young man's name is actually Brian Michael Rini. He is a 23-year-old from Medina, OH. He identified himself as Timmothy to law enforcement and alleged that he'd escaped from two captors who'd been holding him for seven years, most recently at a Red Roof Inn. He described the men as having a "body builder type build" and said that one of the men had a spider web tattoo on his neck, while the other was shorter with a snake tattoo on his arm. According to the New York Times, Rin had bruises and abrasions on his face. He allegedly approached a bystander and asked for help, saying that he'd been kidnapped and just wanted to go home. A DNA test confirmed he was not Timmothy, though the motives behind the hoax remain unclear. Timmothy disappeared at age 6. His mother, Amy Fry-Pitzen, checked her son out of his Aurora, IL elementary school on May 11, 2011. They embarked on a three day road trip, visiting zoos and water parks where they were captured on surveillance footage. On May 14, she was found dead in an apparent suicide inside a hotel room. Timmothy was gone – Fry-Pitzen left behind a note saying that he was with people who would love and care for him and wrote "you'll never find him." In 2015, Jim Pitzen, Timmothy's father recalled the last time he saw his son. "I have one image. It's the day I dropped him off at school and he's off — running off to class —and that's pretty much the last image I have in my mind of him," Pitzen told CNN's John Walsh.